The legendary actor flew into the Bay Area to receive a lifetime achievement award at MVFF, but being the generous soul that he is, he gave much more of himself to festivalgoers and the film critic community than any of us could have expected. 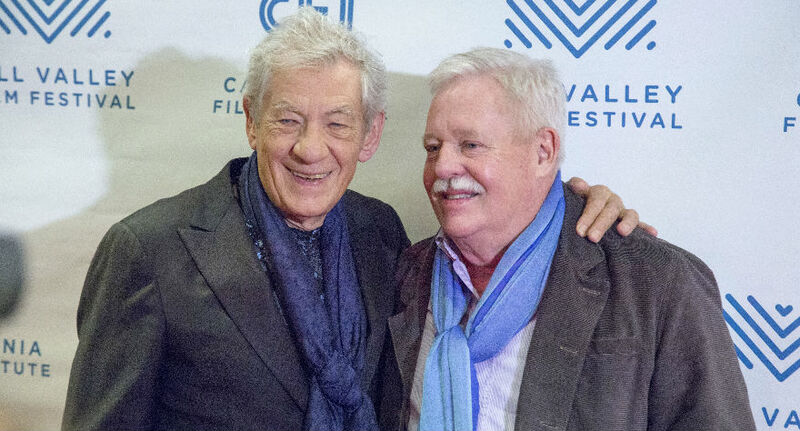 Sir Ian arrived on Saturday to meet up with his good friend, author Armistead Maupin. 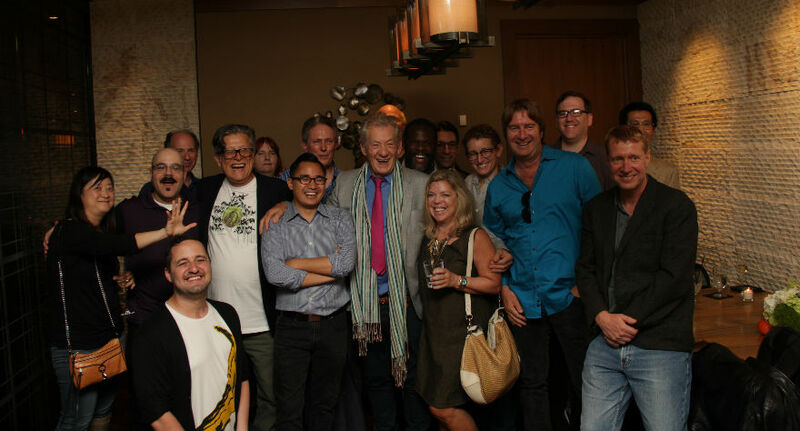 As luck would have it, Mr. Maupin also invited the San Francisco Film Critics Circle (of which I am an unlikely member) to join in on the fun and celebrate Sir Ian’s career at the beautiful Parallel 37 restaurant at the Ritz Carlton Hotel. Needless to say, I was beside myself. 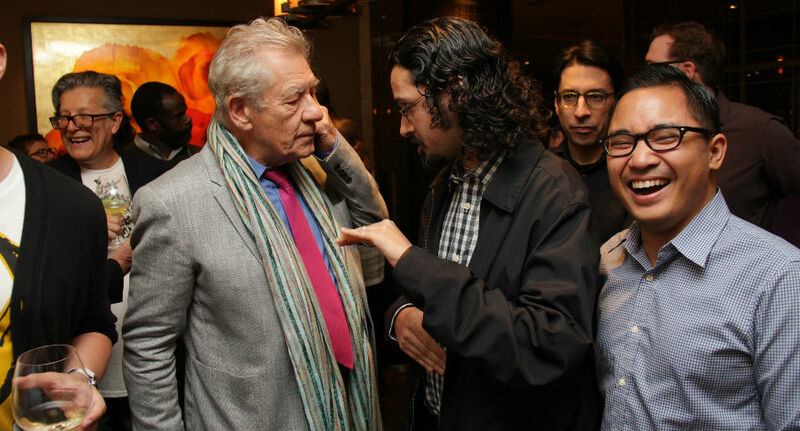 Like most of us, I’ve grown up watching Ian McKellen on screen and have marveled at more of his performances than I can count on my fingers and toes. I couldn’t believe I was going to meet him, but my nervousness dissolved just as he walked into the room. Unlike some celebrities, especially ones of his stature and accomplishment, he actually looked thrilled to hang around and chat with our merry little group. There were about 25 of us in a room uncomfortably small for our number, but no one cared a bit—Sir Ian was happy, so we were happy, as you can see below. As you can tell, I was having a grand old time. It was an unforgettable experience and just the start of Sir Ian’s Bay Area takeover. 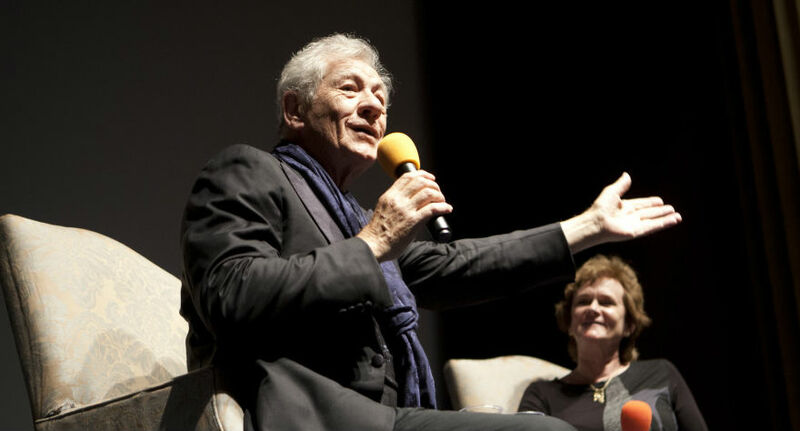 On Sunday, the celebration moved to the Smith Rafael Film Center in San Rafael (one of the main MVFF sites, just up the road from Mill Valley), where McKellen was to receive a lifetime achievement award. I wasn’t able to watch the ceremony (I was upstairs watching the wild and weird Angelica), but I saw him step out of the car in front of the theater to the excitement of a raucous (but respectful) crowd of superfans. He signed autographs for two little girls (giddy as can be) and made his way through the flashing lights with his good friend Mr. Maupin (see photo below). This next part I heard second-hand, but apparently when Sir Ian walked into the theater, he didn’t head straight for the green room as scheduled. Instead, he walked up to the young people working the concession counter and shook all of their hands. 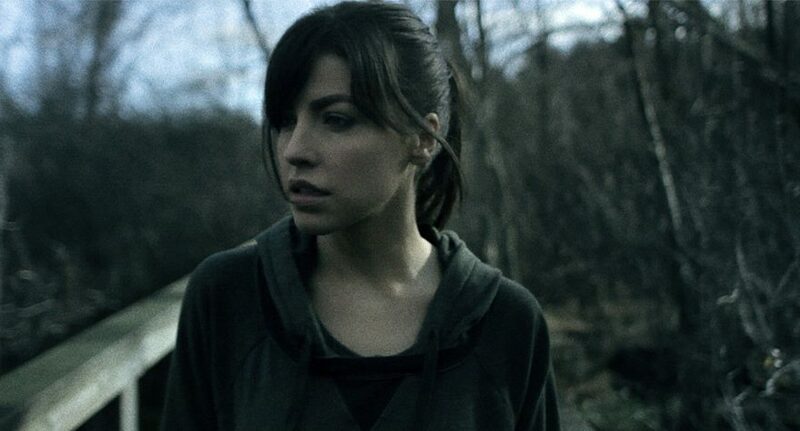 I wish I was able to watch the award ceremony, but regret nothing (Angelica was awesome). I would, however, be in attendance for McKellen’s final appearance the next day, which was a big, big treat. 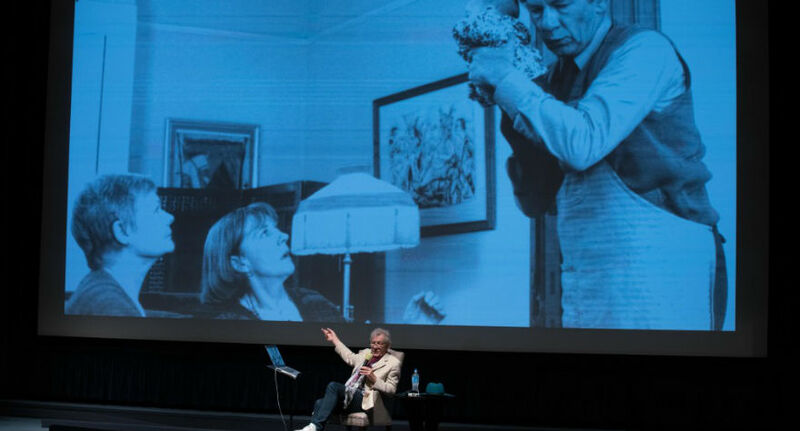 To cap off his visit to the Bay, McKellen gave a presentation called “Women I’ve Filmed With,” in which he celebrated some of the greatest women he’s, you know, filmed with. Sitting in front of an adoring, exceptionally knowledgeable crowd (they knew all his deep cuts), he guided us through his expansive career chronologically (via powerpoint, adorably), stopping along the way to talk about wonderful women like Ava Gardner, Judi Dench, Maggie Smith, Meryl Streep, Cate Blanchett, Stockard Channing and Rachel Weiss, and spoke in-depth about lesser-known but equally monumental women like Lilian Baylis (who managed the Old Vic and many other famous theaters). One of my favorite anecdotes was one McKellen shared about filming a movie called Scandal, which he did just as he’d completed his “coming-out journey,” as he put it. It was clear that McKellen’s career was shaped in no small part by his female colleagues and counterparts on the stage and screen. This year’s festival is in tribute to women in film, and the fact that McKellen so selflessly dedicated an hour-and-a-half or so to praising female artists was a staggeringly beautiful thing.